Identify the critical issues that impact end user experience before you roll out your next application. 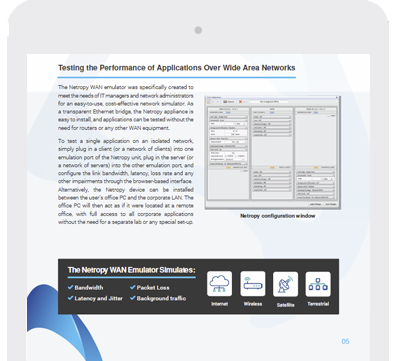 Download Testing the Performance of Applications Over Wide Area Networks White Paper to understand how the Netropy WAN emulator makes it easy to assess the effects of network impairments on application throughput, responsiveness, and quality. 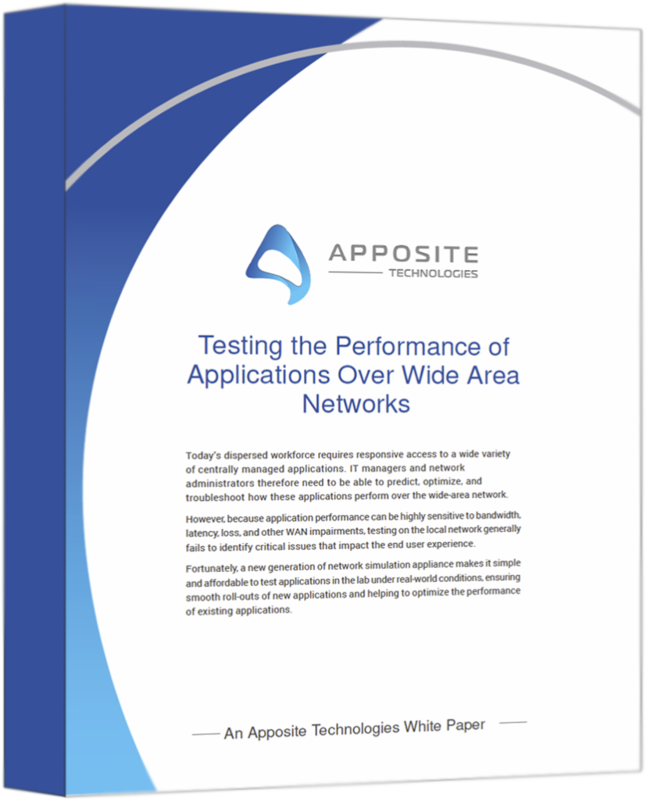 Application performance can be highly sensitive to bandwidth constraints, latency, loss, and other impairments on wide area networks, so simply testing on the local network won’t provide accurate performance results. 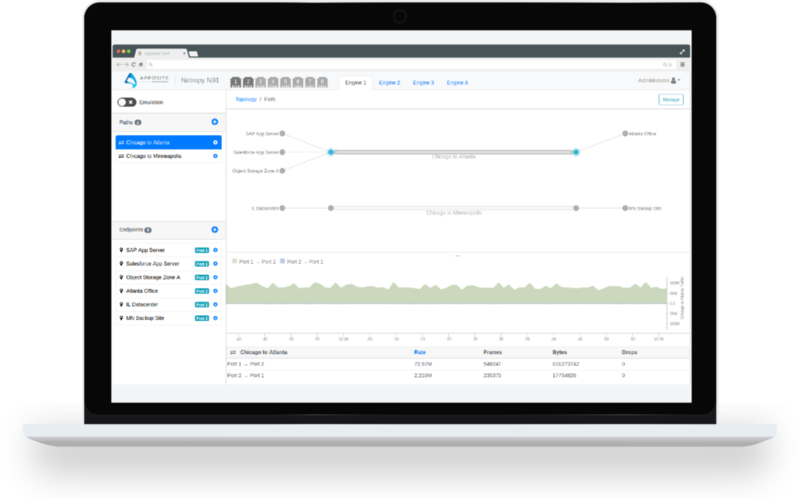 Fortunately, a network emulation appliance makes it simple and affordable to test applications in the lab under real-world conditions, ensuring smooth roll-outs of new applications and optimizing the performance of existing ones.